Ossia's whispered promises were enough to light a fire in Blueblood's core, inflaming his imagination to reach delightful peaks. "I very much look forward to that." And if subsequent nights were anything like last night, the interdimensional alicorn would never lack for an enthusiastic student. The Prince would work hard and play hard, now that he had the proper mentor and motivation. A pity for Equestria that such things came from the villainous, but that was the hand that Fate had dealt him, and who was he to question fate? Not an immortal alicorn goddess, who felt herself justified in raging against it for a stolen revenge. The ferocity of her reaction genuinely spooked him, sending the stallion skittering across the sheets and stumbling onto the floor. "Ah, uh.... like I said, it was, um, an inside job..." Still keeping a wary eye on Ossia, Blueblood eased back up on the bed, now fully awake and alert. "I... take it you're not from around here. You look similar to Cadence, but you aren't her, are you?" After her drink was poured by Pathfinder, Rose offered the explorerer a smile and a nod of her head: her reserved way of saying 'Thank you!" She scoured her mind for a few seconds to dredge up the information, "... Well I've learned that The magic I create is a sort of field of destabilizing energy that take breaks down other forms of energy. I've been trying to learn other ways to apply it and the effects it can have. Some experimental for the most part, I've been hoping to create a spell that could be useful for mining operations." She took a sip of her drink... that was possibly the longest explanation she'd ever given. Squall's speech was certainly a stirring one. More than Rose could ever say she'd feel comfortable saying, She could always appreciate the stallion's gumption in taking the lead of most situations. At first she was going to ask what "Non sufficit" meant but it seemed that Pathfinder was ready and able to better explain what Squall was getting at. Getting more perspectives in general was very useful in a variety of subjects. Now with the world opening up, perhaps they should aim for the truly exotic. She liked Pathfinder's suggestion of somepony from Acroneighos, but militant as that city was it was still very much a pony perspective... "I think I have an idea that would be interesting to pursue if challenging after the beginning. Neighpon has an interesting history behind it and many aspects of it's culture might be unusual to us... but I as thinking that if we are looking for unique perspectives than maybe we should look into the Yokai. They have a strange way of living and seem to be fairly knowledgeable. I understand they have rocky histories with the ponies and kirin of Neighpon in many parts. It seems like an interesting opportunity... and if we need a lead, apparently a yokai whose lived long enough that he was around before the events of Nightmare moon is working on Applejack's farm for a while: he seems fairly talkative." Rose had been around for the Running of the leaves and was in the stands when this yokai revealed himself... it was startling but in the end the day seemed to end in good spirits. Applejack reared up and gave a good buck once from each of her back legs, not anywhere near full strength but enough to give the clay the right impression. Too hard and she was sure she'd ruin the whole thing just like that. It was a lot easier than having your legs caught up in stirrups while they took your measurements, that was for certain. She knew that this sort of clay didn't handle well in shipping, but Celestia above this was a heck of lot more convenient. Certainly was a big time saver! She soon finished up with her front hooves and then stepped back, wiping herself nearby. Yep, those hoof prints should do the trick. It was around that time that she heard some commotion and turned to see Forged back in the main area, an apology fresh on his lips. It was good to hear him stand behind his products. She knew how much it hurt to make a mistake in a field that you knew you were well-qualified in, a field where you were among the best. She also knew what it was like to have enough pride in your work to ensure that if you did make a mistake that the pony who was counting on you to see whatever work was being done was done correctly was not unfairly compromised. And since Applejack's hooves were as important as anything else in her toolkit, it sure made sense to her. "That's mighty bold an' proud of you, Forged. Ah'm sure tha horseshoes will work out just fine. Yer tha expert, after all. Ah'll keep tha warranty in mind," she finished, allowing him to speak at more length about his father. She felt bad about it, she sure did. Losing somepony was never easy, especially when there was a mystery involved. It could keep you up at night, your mind wandering down many darkened roads. To have that terminal questioned poised over his head for so long? It was plain to see, plain to hear, the impacts it had on the fella. Applejack sighed and shook her head. "Sorry, sugarcube. Wish Ah knew more. But Ah'll see what Ah can find out. Ah've got mahself a lunch with Twilight later and maybe she can look into it a bit? Can't promise nothing, but somethin' has gotta be better than nothin'." Applejack made a more concerted effort to keep her top half up and above the water as much as she could, powering her bottom half and swimming with all four hooves as she tried to push them through the dark stream. Zap Apple's little hoofsies were wettened by the dreary water and she made a mental note to ensure that when they got home that she made sure to get him a hot bath. Didn't want Ponyville's best and brightest future stallion to catch a cold? Thinking about a relatively small problem helped Applejack relax ever so slightly. Every nerve was on end as she listened for any updates on the Timberwolves on their trail. She swam some more as the stream narrowed. Splash. Behind her, a sound. Judging by the brief howl and the distant yet growing furious dog paddling, a timberwolf had joined them. By sweet Celestia's mane, how in the hay were they tracking them and why? Applejack's pulse quickened and she started to feel a small bead of nervous sweat develop under her maneline. "Cold is right..." she muttered in response, her bottom hooves making contact with the water floor underneath them. This allowed her to move faster with small canters deeper and deeper in, even as the sound of the dog paddling grew and grew. Damn their branches, bein' so magical and buoyant. In due time Applejack came to a hole. Well, it certainly felt like a hole. Her hooves felt around and she judged it was big enough for the both of them. It would be a tight squeeze, though. Also entirely underwater. Zap would have to hold his breath. "Zap, yer doin' so good. Mah brave little stallion, thats what you are! Just gotta do one more thing. We're gonna have to go through a tunnel and that tunnel is underwater. Yer gonna get real cold and real wet and yer gonna have ta hold yer breath, alright?" She said as the sounds of splashing got closer, and a howl that may as well have been right next to them. Now she looked worried. She could see behind them now and the yellow eyes of a timberwolf could be seen. At a distance, sure. They had...oh, twenty seconds. But not time to spare. "We're going down in three, when momma says zero, okay? Three...two...one...zero!" Pocket Change watched as his new partner broke out into a bit of magic. Was he an changeling? Considering those creatures could turn into a new form in the blink of an eye and not require any unique special effects, that was probably not the case. At first it looked like Hogo-Sha simply ditched his jacket and decided to walk around on all four. But his tail was considerably longer..And he appeared more like a feral wolf than Diamond Dog. There were also magic globes. Hurray! This means there would be no terribly awkward conversation where the unicorn would try to ask why his partner was a good deal smarter than all the other Diamond Dogs he had encountered in the past. No casual racism for their little adventure! "You are an Yōkai...Particularly an Bakemono...", he gasped. He had encountered such creatures before. Thankfully, all were positive encounters. "We can walk and talk..If you wish..", he slowly started to follow after the rather large wolf-ish creature. "So, why the disguise?" They had just left an city where all forms of creatures walked the streets. Dragons. Horses. Ponies. Yaks. Griffons. Changelings. Diamond Dogs. Hippogriffs. Minotaurs. There were probably more that he left out. A large dog was probably the more mundane of the bunch. It's cars this week I see. Pathfinder wondered if Squall ever pretended to be an actor and spend a day or four performing some overblown dramatic piece at a local theater. He had a flair for it and a very powerful speaking voice. If Pathfinder hadn't been inured to such things by a battery of mentally influencing relics and enemies who had sharpened her mind in issues of charm then maybe she would be impressed. Instead, she waited for him to get to the fun part, which he did in time and with great purple prose highlighting it. The idea was pretty sound regardless. Equestria was less of a nation at this point and more of a harmonic concept that had its roots spread far and wide, deep and strong. EPIC needed to follow suit! "Oh, cool. So you wanna ask Princess Notetaking if we can expand outside our borders? Seems good to me. More eyes and ears and different sents of them to offer different perspectives can be super duper important. The dangerous traps are the ones you don't see AND the ones you don't understand! The more varied our experiences and outlooks, the better we're gonna be at doing our jobs," Pathfinder said as she closed the book and rolled onto her stomach, leafing through her notebook. "I have information I've compiled of super cool ponies, yaks, griffons, you name it from across the world. Lemme see..." she said as she flipped her papers around randomly. Suddenly she stopped and pulled one out. "Ahh, a good one. This pony's name is Skycrack. She's this tough as nails military pegasi from Acroneighos. I think she beat the heck out of a dragon in an arena match too, like an adult one. She isn't like some other Acros either. More like her parents, doesn't seem to discriminate against non-pegasi," Pathfinder said as she pulled some notes out of saddlebag. Acroneighos was a super militant city that held little charm to her. The ponies there cared more about spears and shields than having fun adventures unless by fun adventure you meant flying around and fighting battles, in which case they loved it a whole heck of a lot. Like most major kingdoms in Maretonia it was more than a little prejudiced against species not dominant there, but it was changing. Slowly. It was a very tradition bound city after all. Skycrack and her parents were on the bleeding edge of equality, but it would likely be several generations before they were truly equal. I'm gonna be honest, i'm really not sure how most of those fingerprints get where they are. Featuring my veiny thumb and gross shoes. And pants. I'm just filthy. "Well then, maybe next time I will show you that I am able to bring the very best from the mares too. You wouldn't mind, do you? I guarantee, it's an unforgettable experience" Ossia whispered avidly into Blueblood's ear. Ossia tilted her as she listened about Blueblood's associate with interest. "It's mentor's failure to not see student's potential. Even more so to squander her time on many, instead of polishing one into perfection. Make no mistake Prince, I won't go easy on you, but neither you will suffer negligence from me." pink alicorn reassured royal pony once more. "I know who they are! First. Hoof." Ossia snapped at Blueblood. It was only his further words that made her regain her focus. "What do you mean infiltrated?! They disbanded?! How am I supposed to track them down now? How long I was gone?!? Who stole my revenge?!" she asked. It's was only moments later that Nerezza eyes opened wide, upon realization that she said more than she should. Alicorn froze for a moment, givin an impression that she will explode with rage moment later. Instead Ossia took a big breath, and forced her magic back into control. "Hmph, not the first time I suffered setback like this. It was unbecoming of me to lose my temper like so." she said to herself before shifting her attention back to the unicorn. "And you, my Lovely Student, deserve at least some of the answers I believe. Well, go on, I am waiting. You surely have many questions." she encouraged the Prince to satisfy his curiosity. There were other ponies in the dungeons, some prisoners, and others acting as guards- the guards were all in Chrysalis' dominant mental thrall. With the majority of the actual guards undergoing routes above-ground to keep up appearances, it left the catacombs and dungeons underneath Canterlot to be guarded by enthralled civilians. One such figure, familiar to Blueblood, stepped forward. Looked very much like a filly, though he wasn't, his face contoured in a passive smile as he obeyed every command that filtered through his conquered psyche. Valen was still there- the rather beautiful crossdressing maid in Blueblood's service- but it was impossible to disobey a command from Chrysalis, even as he internally blanched at the thought. He walked up to Blueblood and mocked his master with a curtsy. "Oh, Master Blueblood, how wonderful of you to visit us. Hopefully your accommodations are as elegant as you deserve!" He tittered with a laugh. Chrysalis' magic coaelesced into a new form, attaching an aether leash to Valen that connected to Blueblood's cuffs. As Valen started to walk, the leash reacted with immense strength- dragging the Prince if he wouldn't come easily with contemptuous ease. He pulled the Prince into a nearby cell, all the while his blue eyes masked by the green of her magic as Chrysalis's eyes and ears extended all the way into the dungeons, requiring finesse in order to evade. She smirked slightly, not at him being almost eaten alive, but at the fact the queen had her guard down. She knew where those dungeons were and perhaps, she'd find the real Cadence there. "but first, your majesty, i should lock em away. Don't want the rat to ruin your plan, do we?" when she finally got permission, she brought him down to the dungeons. (I'll do Cadence a small bit, so that it still is in that ep) Cadence was there, alerted at her arrival. When she saw blueblood, she tried using a spell on Goldy in order to free him. "please don't.. I'm trying to help you." she was shocked. "Help me? But you're a Changeling.." "so? Doesn't mean i act like one?" "Go. Leave. Defeat Chrysalis before it's too late." She nodded and flew back after telling blueblood to be a lookout but to stay hidden. The dog took a deep breath and soon it seemed as if his image melted away, his colors remaining mostly the same but his farm shifting from bipedal to quadrupedal. The coat seemed to fade out of existence into the form of a glowing ball (one of several orbiting his neck). With a bit of a yawn the wolf that had took Hogo-sha's place stretched out, harmless arcs of electricity jumping across his dark fur. He smiled calmly at the pony, making sure not to show any teeth and startle to poor archaeologist. "Surprise!" he said with a playful bark before levitating some of the luggage off his back, "... I usually just have that diamond dog look because I have a harder time taking on pony forms or the like. I swear I've sneezed myself out of them a couple times." The large yokai rubbed a paw to his muzzle before dipping his head to the pony, "I wish to thank you for coming this far with me despite my hiding of the truth." If anything the spirit was excited, that long, flowing tail of his was eagerly whipping about behind him. He looked to the Basin and grinned, "Shall we proceed or do you have any questions?" You don't know how space helmets work!? Everyone knows you just need to slap a fishbowl on your head and you can easily survive the dangers of outer space! WEEEEEEEEEEEEEEEEEEEE! Might be a special anti-magic spell that only stops harmful magic..Or they needed to be turned 'on' to work via a spell. Lol, the best way to protect the crown is to stand near it. Who would have guessed? Nice work Shining Armour. The shards of the throne are supposedly anti-magic yet Starswirl just levitates them like it's nothing. Do they have some sort of toggle? Soz for the big delays. Can't say when I'll start posting again. Might do something small. "Um." The unicorn took a sip from his cup as he imagined other ways they could get into an temple in the sky. There was an catapult. Ouch. Maybe an balloon? The Basin was known to be rather windy. How about a telekinesis spell on himself? He could make himself fly. But there was always a chance a spell can be disrupted. Splat. Maybe befriend a giant bird and have him fly them up? Nope. He wasn't friendly. He was hungry. GULP! "Please just ignore these. ", Pocket Change grinned back as he waved away the last of the hard-light magic, "I sometimes get little heart illusions when I think of my marefriend." Thankfully he had yet to suffer from the heart-eyes syndrome. This could call blindness in some cases. "Till then." Once tea was over and the bill had been settled along with a doggy-bag of tarts. The pony left to stock up on supplies. Pocket Change was always prepared, but knowing the hazards of having too much stuff, he packed accordingly. He wore the outfit Javasun had purchased for him awhile back. The light enchantment made the journey a little less steamy. Still, the unicorn DREADED Griffonstone. While things were slowly starting to get just a little better, the adventurer was keen not to stay there too long. Although the perky little 'welcome' griffon with the grey coat was an welcome site. Gal enjoyed chatting and hugging. Pocket's partner seemed to be rather allergic to cats. Gabby's constant need to hug did not help the poor pup. Unlike her fellow griffons, she did not ask for coin when he needed information. If only the dog wasn't so allergic, she would be an idea third companion. She was incredibly gorgeous with her freckles and little pony-tail and sweet Celestia he missed Moony so much. Once they were free of griffons and civilization, the Diamond Dog had something to tell him. Oh no. What could it be? "Yes? ", he squeaked as he tried not to let his imagination get the better of him. It was a fun little episode.. We finally see what Twilight considers Spike to be...Her 'Little brother'. loved the bit with Applejack's previous singing career. Or was it? This episode was basically a bunch of bits the writers and voice actors wanted to do. And seriously. Baby Spike. So dang cute. Zap was firmly saddled onto Applejack's back. His front hooves bracing over her shoulders, his back legs anchored against the saddlebag, and his head reclining her neck. Zap could sense the uneasiness in his mother's attitude. But he also saw her resilience to stay firm and focused. Zap never saw his mother be actively afraid of anything, but it was always Applejack's reaction that he paid the most attention to. Seeing her relaxed stance and hearing her calming voice seeded in him courage to continue staying serene himself. Approaching the water, he knew to hold on a little tighter as it would be easier to slip out off of his mother's haunches. When she stepped in, the water level rose to Zap's underside, wetting all four of his hooves and giving him a chilling sensation at his core. He did his best not to speak out, but could not avoid a small whimper as a reaction to the cold water. "Hm. It's cold," he whispered loudly. He started to involuntarily shiver but was also dramatizing the temperature he was experiencing. "Burruruuruuururur." "Wellll..", the cat could not help but grin just a little. "Before the P.T. Barn-Um Circus comes to town, we first hire some creatures to put up signs all over the town..So you know we're coming! ", she gave the pony a wink, "And then when the time comes, and after the train is unloaded, there's a free parade where everyone can watch us ride through whatever is considered a 'main street'. There's lots of wagons with animals and clowns...Usually they have my brother and I on top of one of the wagons, and we'll do some simple tricks and moves...Like flips...And leaps...And ol' P.T. will be marching in the front while holding a megaphone thing and he'll be shouting about all the shows to get everyone all excited. ", the cat hopped onto the bed and pretended to march...."Then everyone will follow us to where the circus had actually been already set up the previous night and once they purchased their tickets and assortment of food, it's entertainment time! Wooh! ", she bounced into the air before quickly regretting it as her knee was still hurting. "Ouch!" "We usually stay for at least a week...Depending on the agreement we have with the town...city..village or whatever. ", she paused to massage her lightly injured bit. "And yeah. You're free to stay here...If you want...I really don't know anyone in Canterlot and my parents had convinced me to go...Even if nobody else was able to come along..", her fuzzy ears drooped down even lower. "As for my brother Achille...Well...." again with as sigh. "He was feeling rather cranky the other day when mom got extra naggy...But instead of doing what she said, he got really really snarky. And said something he probably should have not said. Which I can't repeat. Cause the words were really bad. Rhymes with Crumb Witch. Total neva forgive action. And my bro was super-grounded...And even my begging and fake tears didn't fix everything...Like usual." "Since the season was over....My friends had all gone their separate ways...So I couldn't bring one of them along....And even the folks couldn't come...They convinced me that I should still go....Be refreshed...Get out...And also none of the tickets could be refunded. The train. The special hotel voucher. Nothing.... Thank goodness I ran into you..." she felt like she had started to sound just a tad needy. 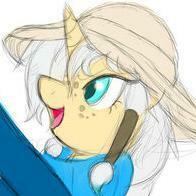 Hopefully Daze didn't mind...And zounds she was so dang adorable. And being the fuzzy type, she also could go au natural. But where the heck would she put her hotel key? Or her camera? The madness with the cloaked stranger really put an end to their happy little day. "Seriously! ", she growled at the thief. "It's not worth anything! Well, in bits, but in sentimental it's worth a million!" That probably was not the right word. But nerveless, she charged the sneak thief! Unfortunately the thief had set up a trap for the young cat. A simple rope trap sent the fuzzy little creature up and into the ceiling. "WAAAGH! ", she yelped. "Don't worry about me! Please catch that crook! I'll get myself down." "And also turn off the ceiling fan before you leave....", she was not having a very good day.